Here is Some Information about Sivagiri Temple in Varkala Kerala India. Temple Timing: 5:30 am to 12:00 pm,4:30 pm to 6:30 pm. Sree Narayana Guru tomb was built after his dealth.He was breathed his last here in 1928.According to the India Traditional concept believed that goddess of sarswasti is the prime goddess of knowledge. The architecture style of the temple is simple and modern. There are many window and ventilation was devised.In temples there is spacious rooms where people can sit comfortably and take part in discourses. There must be schools attached to all temples. There should also be amenities attached to the temples to train children in various trades. The money that comes to the temples as donation must be spent in such a way that the poor people benefit from it. It is not desirable to make ponds near temples for the worshipers to take bath. It is not possible to keep the ponds always pure. Therefore bathrooms are to be constructed with an arrangement of small pipes so that the water will fall from above the head. Sree Narayana Guru was a keen lover of natural beauty and serene ambience at Varkala and so he built a hermitage on the top of the Sivagiri hill in the year 1904, which later on turned into a major pilgrim centre. 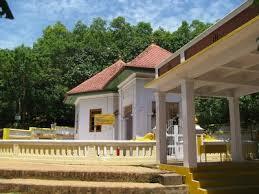 Later the Travancore State Government offered Sivagiri Hill to the Guru. Not only this, some locals of nearby place also offered land to him. 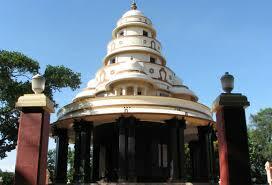 Hence, Sivagiri became the nerve centre of all Sree Narayana Movements. Besides Guru, there were many social reformers like Dr. P. Palpu and the popular Malayam poet Kumaran Asan who also assisted in establishing the Mutt at Sivagiri. They were keen followers of the Guru and had excellent ideas on reclamation of the society. Keeping these in mind, Guru also established an elementary school here. In fact, a night school was also established for the illiterate people of lower caste. 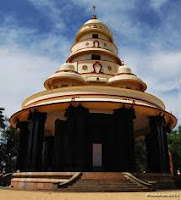 When his adherents wanted to set up a temple here, the Guru dedicated it to the Goddess of Knowledge (Saraswati) and hence Sivagiri Saradha Temple was set up in the year 1912. It is made in the shape of octagonal and was designed by Guru himself. By Road : Varkala Bus stand is located 2km from the Sivagiri.Varkala is 53 kilometers from Thiruvananthapuram and 37 kilometers from Kollam, there are regular buses to/from both cities, which stop at Temple Junction. 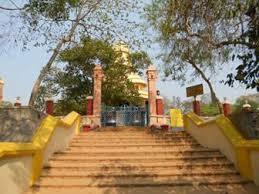 By Train : The Nearest Railway station is Varkala Railway station. By Air : The Nearest Airport is Thiruvananthapuram International Airport.